Apparently terrorized by the fear-mongering tactics of the British establishment media, in the form of hysterical warnings about food price rises and “societal disintegration“, the fiercely independent Scottish people voted to remain in the UK. Or so the British establishment media would have us believe. The official result matched the predictions of polls conducted by huge for-profit City of London market research companies. Prime Minister David Cameron declared that “this settles the independence debate for a generation.” Case closed? I don’t think so. We’re being asked to believe that a majority of Scots voted ‘Yes’ to more austerity, ‘Yes’ to more wars in their name, ‘Yes’ to keeping nuclear weapons, ‘Yes’ to the continued theft of Scottish natural resources and ‘Yes’ to less democracy. Some 222 international observers are said to have registered with the referendum organising body, Britain’s Electoral Commission. They were apparently required to pay their own way, costing these Canadian observers over $4,000 to attend. As far as I can tell at this juncture, the observations of just one party of these accredited observers has been reported anywhere. Speaking on behalf of the four accredited observers from Moscow’s Public Institute of Suffrage, Igor Borisov reported that the Scottish referendum was “badly flawed” and did not meet international standards, specifically pointing out that the vote counting took place in rooms that were too big. Just what was that female counter doing removing votes from the Yes pile to the No pile? Some have argued that she may have been sorting them beforehand, then assigning them to the correct pile. But how hard is it for a supposedly intelligent person (I presume they chose intelligent people to do the counting) to look at a piece of paper, determine if there is an ‘X’ in the ‘Yes’ or ‘No’ box and then put it the corresponding pile? This is either evidence of extreme incompetence or of deliberate vote fraud. And what are we to make of the Sky News footage from the Dundee counting centre in which we clearly see Yes votes on the No table? Every caution should be taken to avoid cross-contamination, so the explanation that they were bundled that way prior to sorting into Yes and No is, again, evidence of gross incompetence or deliberate manipulation of the votes. There are countless ways to rig elections and referendums, as awake and aware Americans know well. Stuffing the ballot boxes is a relatively easy thing to do, and given the motives and track record of the British elite, and what they stood to lose with an independent Scotland, there is every reason to assume that vote fraud did indeed take place. Indeed, for those who have equipped themselves with an objective understanding of the true nature of the ‘democracy’ under which we live in the Western hemisphere, it was always a foregone conclusion. The Russian observers noted boxes of ballots papers that “could have come from anywhere,” suggesting that, for example, boxes of stacked votes could be swapped with actual votes during transport from the polling stations to the counting centres. Another possible point of entry is via the postal system. Some 790,000 postal votes were registered, the largest ever volume for postal votes in Scotland. How difficult would it be to ‘flip’ some or many of these? The SOTT.net crew knows from direct experience that Western intelligence services can and do routinely open people’s mail. For something as important as this referendum, they could have had teams in place, either within postal depots, positioned throughout postal transportation networks, or in separate facilities. Too many people to be involved in such a conspiracy? Don’t underestimate some people’s naivety, and others’ perfidy; there are more than enough people out there who carry out such treacherous tasks gladly, believing it to be fully justified ‘for Queen and country’. The simplicity of a referendum in which people are asked to place an X beside a simple Yes or No answer works great in a world where people can be assumed to be honest and to ‘play by the rules’. But when a couple of trillion pounds in oil is at stake, well, the ‘rules’ bend. Speaking of British establishment media, of Scotland’s 37 newspapers, only one, the Sunday Herald, came out in favour of independence. In fact, it was the only mainstream media outlet – local, regional or national, English or Scottish – that supported independence. Think about that. Only one media outlet. University of Edinburgh researchers found that the more information a voter had, the more likely he or she was to vote Yes. Right there, we see that the media’s role is to lie to the people, to spellbind them through fear and disinformation. Online, meanwhile, analyses of Twitter and Facebook chatter put the Yes:No ratio at around 2-to-1, about 65% versus 35% in favour of independence. The Russian observer’s statement about the greater presence of Yes voters is obvious even to casual observers of the build-up to this referendum: besides their pronounced dominance of online discussions, the streets of Scotland were clearly thronged with large majorities in support of independence. Just where did this ‘silent majority’ of Scottish No voters emerge from? From the high turn-out of voters which, we’re told, was up to 97% in places? Sounds plausible, except for one important historical detail: when people turn out like that, it’s because they relish the chance to engage with a popular cause and change the status quo in their favour, not to keep things as they are. The problem, as always, is that people forget. Although we’ve yet to hear from other international observers, the Scottish referendum result – despite overwhelming media bias and Westminster scaremongering – has been accepted by many in the Yes campaign. People forget that this time last year they learned through Snowden’s leaks what GCHQ – Britain’s NSA – gets up to. British intelligence agencies are permanently engaged in domestic and international spying, subversion, disinformation, and blackmail, and their activity increased dramatically after 9/11. In this context, from the British government’s perspective, Scotland seceding from the UK isn’t just a matter of Scots’ democratic right to self-determination: it’s a flashing-red threat to national security. THIS is the very thing they were created to counter; this is the meat-and-potatoes of the British intelligence services. Think about the lengths they were prepared to go to retain Northern Ireland in the UK: beyond all-out information war, they conducted false-flag bombings, assassinations, internment, torture, curfews… up to and including a policy of conducting shooting sprees of both random Catholic Nationalists and Protestant Loyalists. Does a tiger change its stripes? 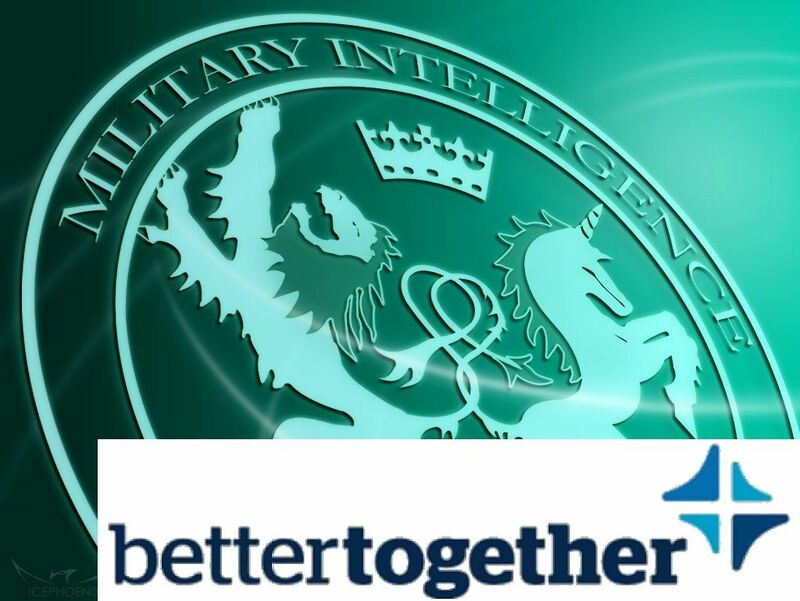 Scots independent MP Margot MacDonald warned last year that the Scottish referendum would be subject to ‘dirty tricks’ by MI5,saying the Yes movement and Scottish National Party was riddled with British agents. Indeed, many Scots knew in advance of the referendum that British intelligence was actively working against the Yes campaign, hiding the true extent of new North Sea oil reserves, and believed the intelligence services would probably rig the referendum result. And now those same Scots don’t believe the official referendum result. Campaigns to collect signatures and bolster demands for an enquiry are already well underway. While that’s a good start, I’m afraid that it will take more than public enquiries, recounts, or revotes to achieve independence. This referendum did not catch the British elite by surprise (although the cabinet at 10 Downing Street was certainly caught out by the strength of support in favour of independence by the end of the campaign). The referendum was years in the making, and its September 2014 date was formally fixed in January 2012; the intelligence services therefore had the better part of two years to prepare for this. If they will co-create and fund Chechen terrorism and Ukrainian Nazis to blackmail Russia, if they will co-create and fund Al Qaeda and ISIS to institute a Global War on Terror, justify police state measures at home, and invade, occupy and bomb sovereign countries abroad… do you think they will remain ‘neutral’ and ‘impartial’ in a referendum that would end the Union, stir nationalist sentiment in Wales, and hasten a United Ireland? Let’s not forget, this is ‘Perfidious Albion’ we’re talking about – by which I mean the perennial British elites, primarily ensconced in London, though certainly also long-since woven into Scottish tartan. They will not ‘surrender’ Scotland lightly. British democracy has always been a sham – both in the UK, and then transported across the world when it was an empire, and still today it’s used as a tool to enforce the rule of tiny oligarchic elites. They have stolen this landslide referendum victory from Scots, who have always been fiercely independent. Until more evidence emerges of fraud, I encourage Scots to gauge for themselves just how many of their fellow Scotsmen voted Yes or No, perhaps by forming local committees to conduct informal polls, then watch as you learn that the true result was 70%+ in favour of independence. Born in Ireland, Niall Bradley has a BA in political science, a background in media consulting, and is now an editor, writer and researcher for SOTT.net. Co-author with SOTT.net colleague Joe Quinn of Manufactured Terror: The Boston Marathon Bombings, Sandy Hook, Aurora Shooting and Other False Flag Terror Attacks, Niall and Joe also co-host a weekly SOTT Talk Radio show. Niall’s SOTT Focus articles on the elites’ geopolitical shenanigans and so-called climate change are cross-posted on his personal blog, NiallBradley.net.